There are increasing signs that China will limit or ban foreign tech firms’ access to Chinese markets. 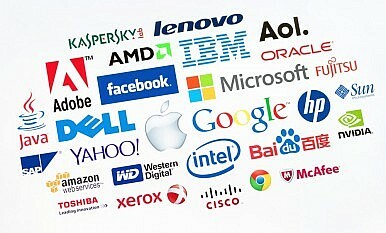 China Daily interviewed several Chinese security analysts, who all agreed that companies like Google, Apple, Yahoo, Cisco, Microsoft, and Facebook “can become cyber security threats to Chinese users.” The article drew a direct line between foreign tech firms and cyber espionage done by the National Security Agency (NSA). A report from China’s Internet Media Research Center, issued in late May, reached a similar conclusion. A microblog post from People’s Daily took the rhetoric even further, according to Financial Times. The post said that China will “resist the naked internet hegemony.” It also promised to “severely punish the pawns of the villain” — a thinly-veiled threat to foreign tech firms seen as cooperating in the NSA’s data-collection efforts. As Jin Kai wrote earlier for The Diplomat, China is serious about developing and nurturing its own world-class tech firms. Well before the Justice Department indicted the PLA officers, Xi Jinping had already called for China to become a “cyber power,” which meant in part increasing China’s domestic tech industry. As part of this strategy, Beijing seeks to protect up-and-coming domestic tech firms from competition. Previously, this was done by limiting access to China’s markets, such as through the controversial indigenous innovation promotion policy that would force government offices and state-owned enterprises (a sizeable chunk of China’s market) to purchase only domestically developed technology. However, China faced criticisms over its more blatant attempts to shield domestic firms from competition. The Obama administration repeatedly criticized China’s indigenous innovation purchasing restrictions, until then-President Hu Jintao finally agreed to scrap the policy in 2011. Likewise, the U.S. slammed China for scuttling an international trade deal that would have exempted high-tech products from tariffs. According to U.S. negotiators, China has a lengthy list of industries it wanted to be exempt from the tariff reductions in order to protect domestic firms from competition. Against this background, it seems that the biggest impact from Edward Snowden’s leaks and the Obama administration’s indictment of PLA officers may be economic, rather than political. The Snowden leaks provided China with plausible cover to restart the protectionist measures it was already eyeing, while the DoJ indictment provided a clear impetus to strike back at the United States. China can now begin instituting bans on foreign high-tech firms, citing cyber-security concerns. Should the U.S. complain, Beijing can simply point to the black-listing of Huawei, a Chinese firm that was effectively banned from the U.S. due to concerns over its relationship to the PLA. The rising cybersecurity tensions will allow China to do what it has wanted to do all along — insulate domestic firms from competition. China can kill two birds with one stone: tightening its cyber security by reducing reliance on U.S. firms, and boost its domestic cyber industries. The U.S. has provided both the model (in its blocking of Huawei) and the motivation (the NSA’s cyber espionage) for China’s next steps. China is targeting U.S. firms to show its displeasure with the indictment of PLA officers for hacking.